In England, goose meat isn’t a regular occurrence on any menu. However, come Christmas time, maybe a shop such as M&S or Waitrose will stock it for your huge Christmas Dinner. 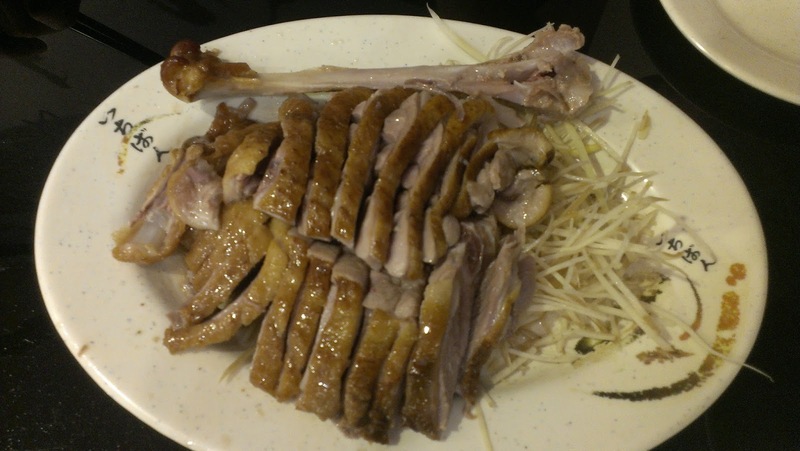 Goose, in addition to Duck, is very popular in Taiwanese restaurants and there are a healthy population of such restaurants around the Taipei City streets – much to my delight! This restaurant does get busy, so be prepared to wait. There is a decking area outside with seating if this does happen, and also a 7-11 next door (surprise, surprise), so don’t stress too much. From the outside, the place looks quite nice. Everything looks clean and new, so aside from the tinsel and the various Christmas decorations (not photographed, purposefully), it’s looking good on the face of it. The menu is just to my liking – not too big. 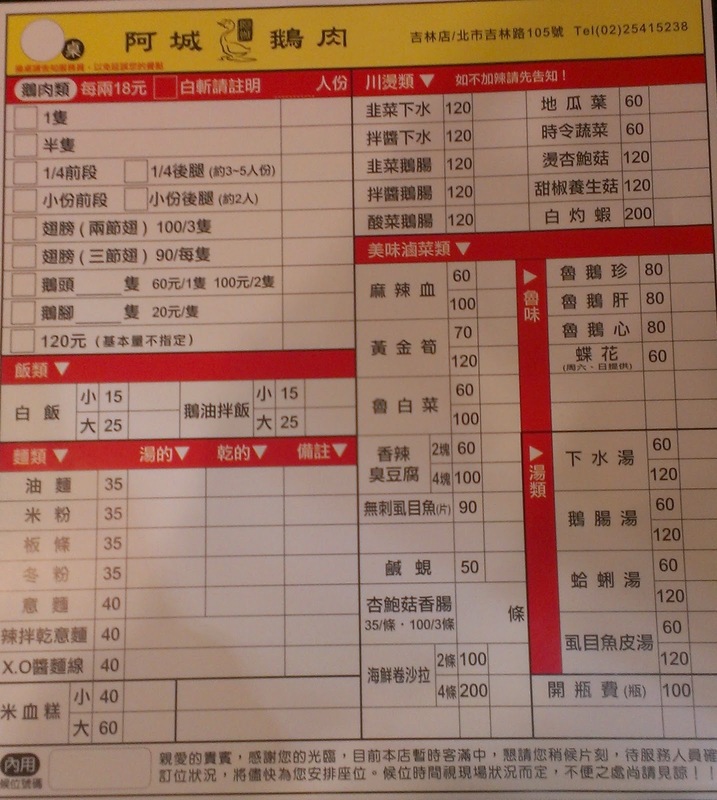 It doesn’t feel stressful to look at, and the way it’s set out allows it to easily navigate through your (top to bottom and left to right): meat section (鵝肉類e2rou4lei4), rice section (飯類fan4lei4), noodle section (麵類mian4lei4), other hot food section (川燙類chuan1tang4lei4) and finally the braised/stewed foods section (美味滷菜類mei3wei4lu3cai4lei4). If goose is in the name of the restaurant itself, then ordering goose is a given. We opted for the half goose, as we wanted to eat other bits on the menu. However, in hindsight, we could’ve got away with ordering just the 1/4 as there is a lot of meat. The meat is both breast and leg meat, and the skin is left on. Some people choose to take the skin off for health concerns of it being too fatty, but I plead with you to at least try it with the skin on because it makes the dish! Picking a piece of meat up, adding a fine cut of ginger and then putting it in your mouth is what it’s all about. The taste coming through from the meat is very nice, it isn’t over or under cooked – resulting in the meat being very tender and juicy. The skin has a slight element of crispness to it, with a rich depth of flavour that means the overall flavour in the mouth lasts and doesn’t just dissipate. Once again, there is a lot of meat here, don’t be fooled. In some restaurants you order bamboo and it comes as shavings or small pieces. These guys were not messing around: we got big chunks of bamboo slices, served in the cooking juices. They were steaming hot as they arrived at the table, but they didn’t last long. Buttery, silky, clean, fresh – these are all apt words with which to describe the Golden bamboo. Big fan. 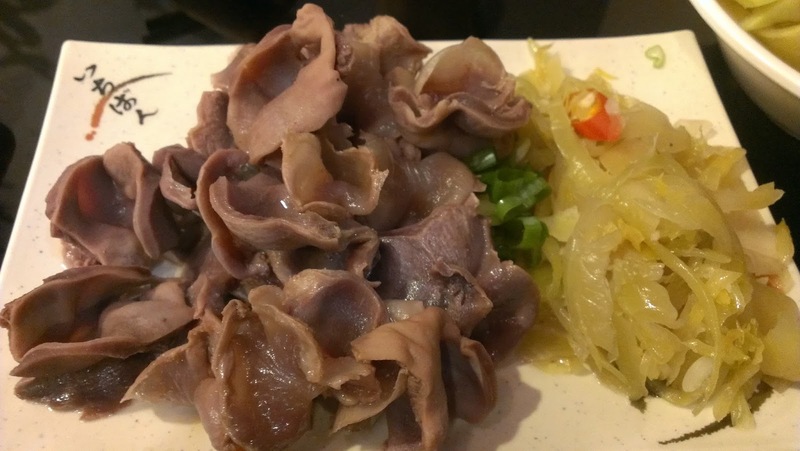 Once again, offal turns up on the menu and we have ordered it, winning. Kidneys, liver and intestines form this dish all lightly stir fried in a spicy, sticky soy sauce served with coriander. The sauce was quite thick, as can be seen on the picture. I don’t usually mind this as long as the sauce is on the side and I am able to dip when I desire. However, sometimes I find sticky sauces to be overpowering and too thick. This was borderline too thick and sticky, but it was just about palatable. The little kick of chili is what the meat needed to come out of its shell and shine. It was only delicately stir-fried until just cooked, then served up, so it has remained very flavoursome, indeed. 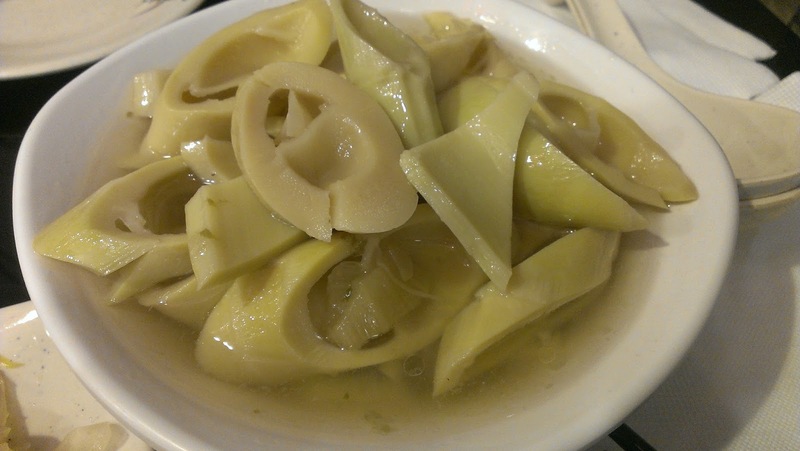 These are the thick type of noodles, and they taste quite wheaty and filling. 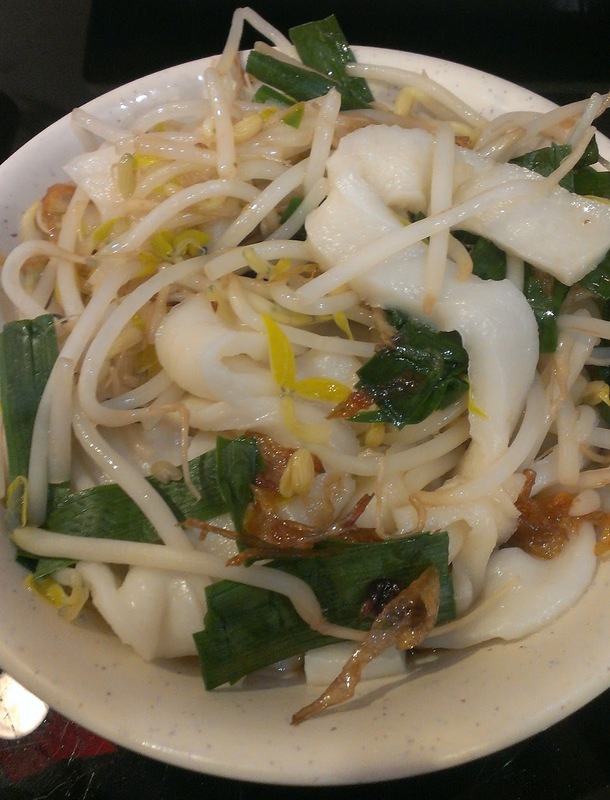 Interspersed within the noodles are beansprouts, green onions (scallions) and fried onions. There is no sauce, but there is a taste of goose oil within the bowl, as I think that some of the cooking water has been mixed in with a spoon of goose oil to lift it – which it does, very well. The noodles are very good, but they are also very filling, so we got them between 2 to share and they were a perfect sharing portion combined with our other 6 dishes. What are Chayote shoots? In all honesty, I am not entirely sure. They taste like a mix of samphire, spinach and nettle. They are a little slimy (not in a particularly bad, weird way) and they are not cooked. They come to the plate cold, mixed in with chili and garlic. They taste wonderfully healthy, above all else. 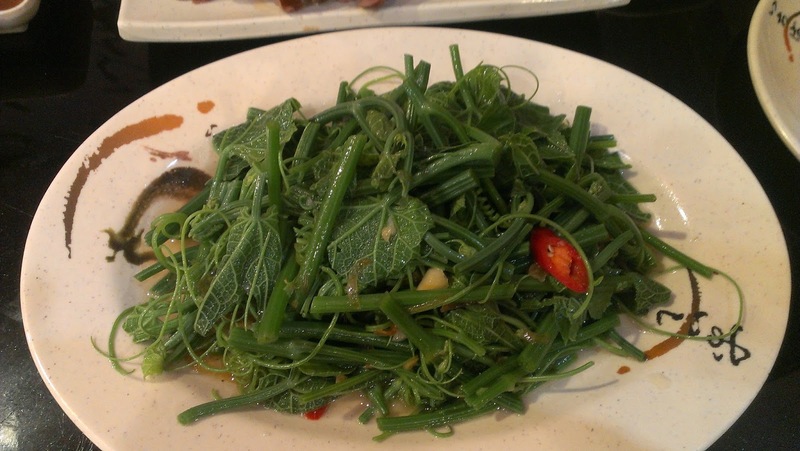 They are a firm favourite of mine when served in 小吃店 as a 小菜. Kidney is a unique, earthy, meaty, irony taste and is often a little chewy or tough. I am not, in any way, trying to stop you from eating it – it really is very tasty. Coupled with the spicy pickled vegetables which cut through the rich texture of the kidney, this dish is a real winner and worth every penny! 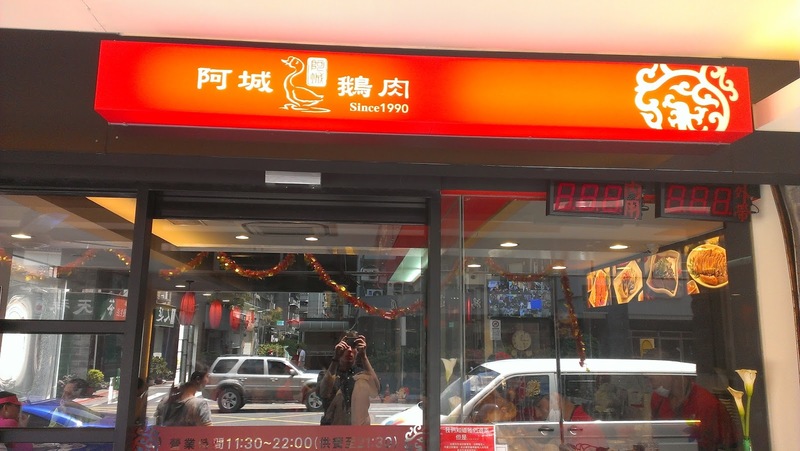 Overall, I was really happy with: the service, the presentation of the food, the taste of the food and also the price of the food at A Cheng Goose Restaurant (prounounced a1cheng2e2rou4). I will most certainly be returning and trying some of the other dishes. Best dish: 1. 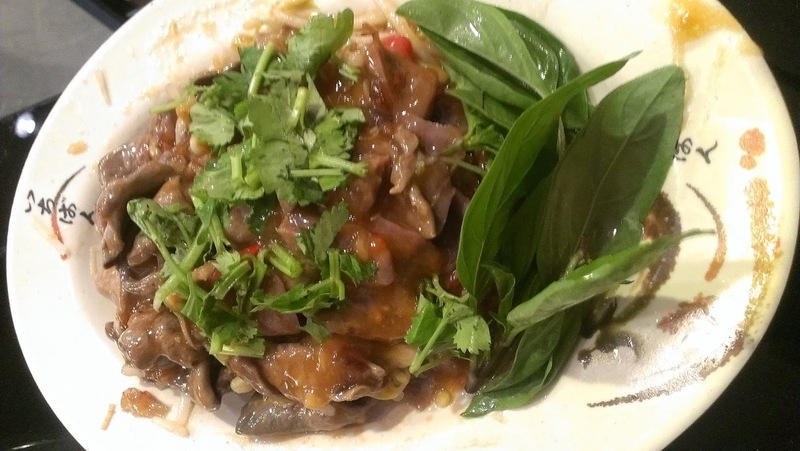 半隻 (ban4zhi1) Half goose: It’s in the name, it’s good! Dish I won’t order again: 6. 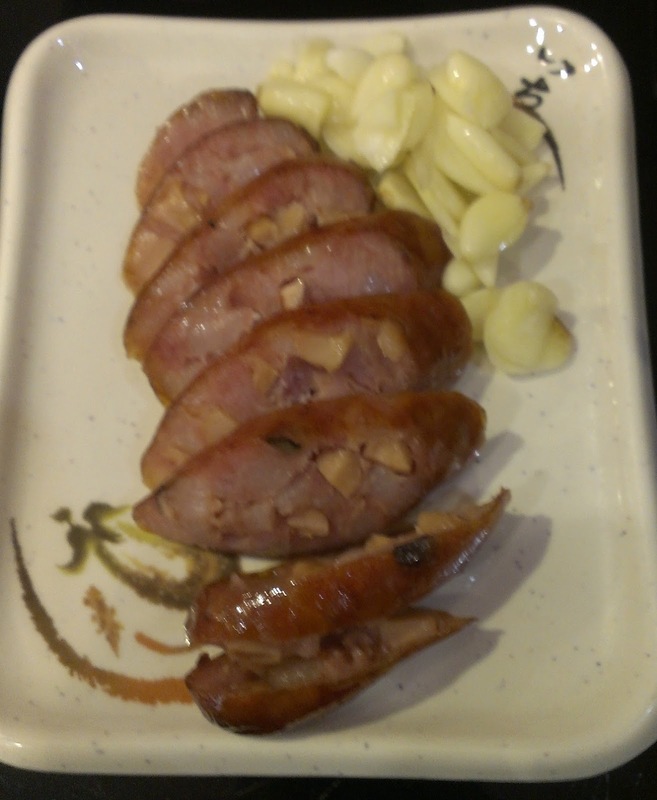 杏鮑骨香腸 (xing4bao4gu3xiang1chang2) Apricot sausage: Yeh, it’s an average sausage. I still haven’t got used to the sweet sausage that Taiwan produces so often, I crave Cumberland or Lincolnshire! No.105 JiLin Road, ZhongShan District, Taipei City.